Chinese handset maker Vivo, which is set to refresh its V series in India this month with V15 Pro and V15 smartphones, aims to consolidate its position in the highly-competitive Rs 20,000-Rs 30,000 price category, a top company executive said on Thursday. 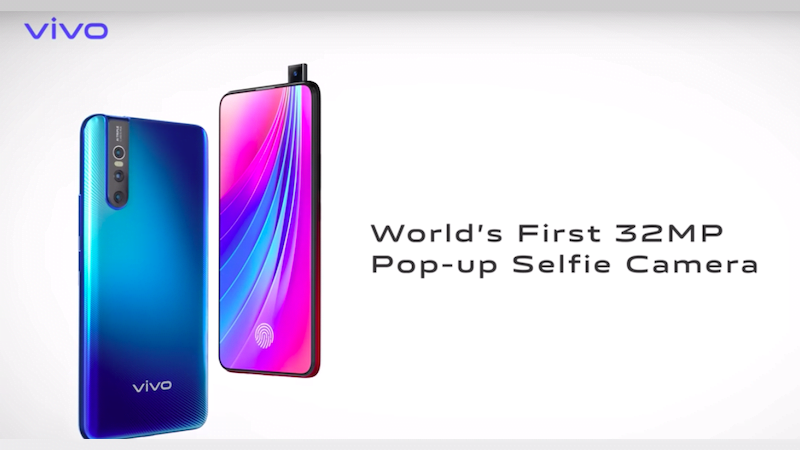 “Vivo has continued to sustain leadership in the Rs 20,000-Rs 30,000 price category and we hope to further fortify this position with the launch of V15 Pro and V15,” Nipun Marya, Director-Brand Strategy, Vivo India, told IANS in an interview. Quoting German research firm GfK’s numbers, Marya said that Vivo has been a leader (as per value) in the above-mentioned price category in the fourth quarter of 2018 and would aim to further grow in this segment. Unlike other market research firms, GfK reports the final consumption of the devices and not only shipments. The Chinese smartphone player considers India an important market and is working towards making long-term investments in the country. In line with its “Make in India” push, the handset maker set up its first manufacturing plant in India in 2015 with an annual capacity of 25 million units. “Vivo has invested a total of Rs 300 crore in the existing manufacturing facility and added surface-mount technology (SMT) line too.” The SMT line has a capacity of 1.8 million units per month. The handset maker had announced an additional investment of Rs 4,000 crore over a period of four years towards opening a new manufacturing plant on the Yamuna Expressway in Uttar Pradesh in December last year, which aims to generate 5,000 jobs in its first phase of expansion. The 169-acre land was acquired near the existing 50-acre manufacturing facility that will help expand Vivo’s manufacturing capabilities and support its continued growth in the country, the company said. The Rs 4,000-crore investment, which does not include the cost of the land, will also spur job opportunities in the region, added Vivo which entered the Indian smartphone market in 2014. Currently, there are more than 70,000 retailers in India where Vivo smartphones are available and the company has more than 200 exclusive stores and two experience centres.